Going to Prague? What better time to read An Unbearable Lightness of Being? 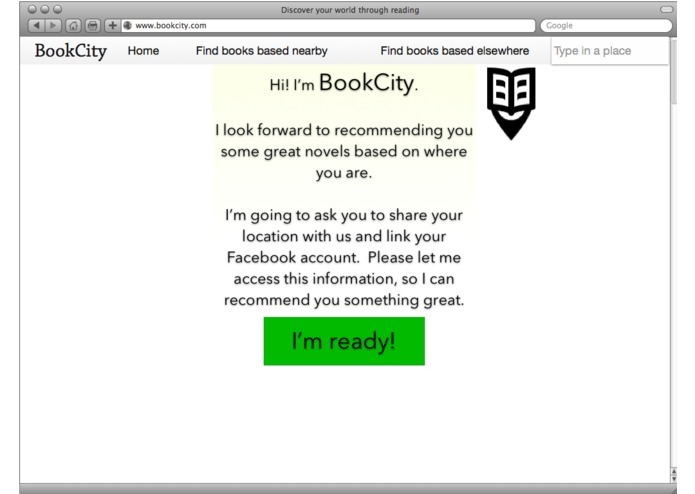 BookCity suggests novels that take place in the places that you visit. 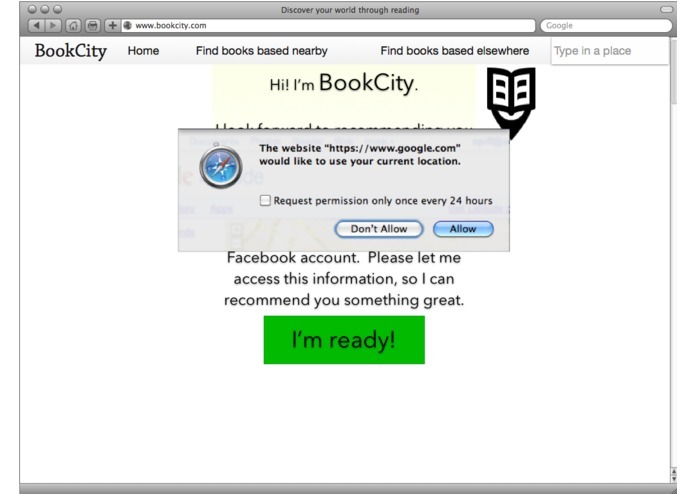 You can log in any time to find novels that take place where you are now, or search for novels in another city as you plan a trip. 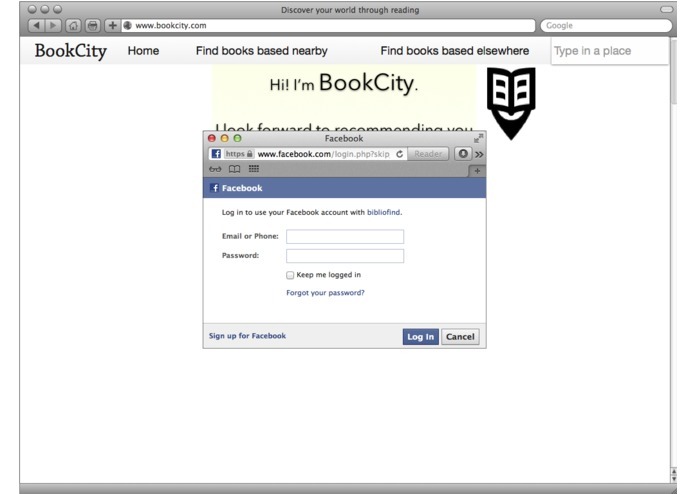 After you choose a city, it sorts books set there based on what your Facebook friends like. 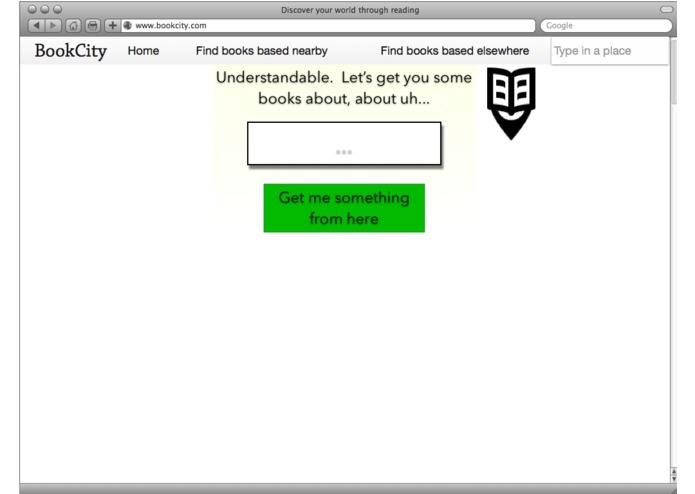 Check out a title to view snippets from ReadMill users, and the book's rating and description from GoodReads. If you want to buy, you can easily find ways to order from various sources. Reading a novel is a great way to experience and learn about local culture, but big readers will also want to learn about the city's famous authors, their birthplaces, haunts and graves. 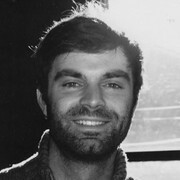 Every time you sign in, even for your home town, BookCity features a profile of a local author. 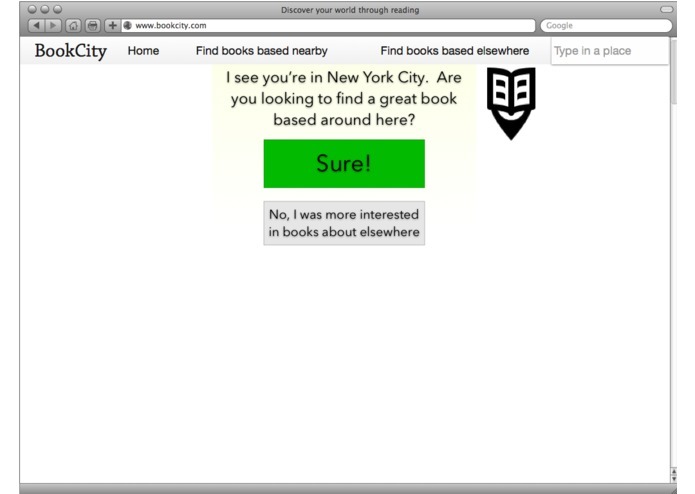 We are in the process of pulling in raw data on book setting locations, and we are also crowdsourcing locations for books, which users can input themselves. We envision this as a possible "upsell" for travel companies. For instance, after you book a flight, you receive suggestions for hotels, restaurants and entertainment. Why not a suggestion for what to read on your downtime?